Passware Kit 2017 v4 recovers passwords for DriveCrypt and instantly extracts the master password for 1Password for Mac from memory images. This version improves GPU-accelerated password recovery (up to 25% faster for RAR, ZIP, Microsoft Office, and Apple Keychain files). 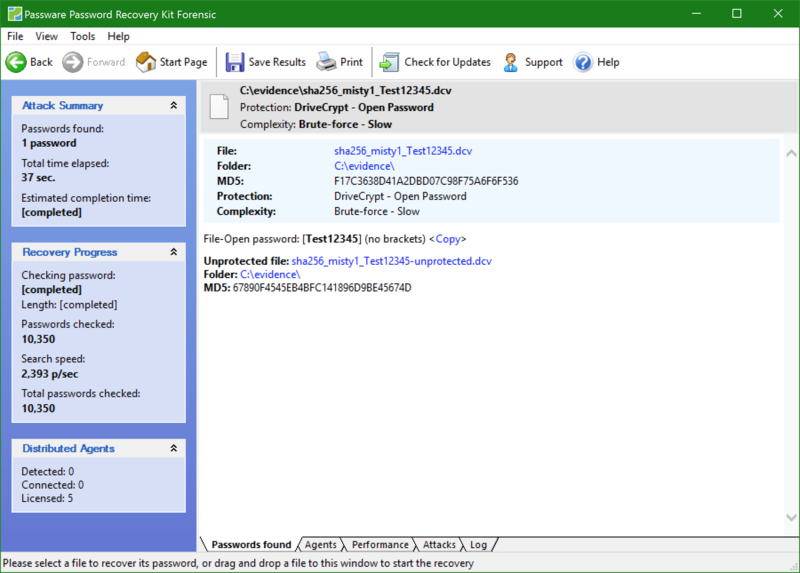 It also introduces GPU-accelerated password recovery for PDFs (encryption revision 3). Password recovery for DriveCrypt (and decryption of DriveCrypt volumes) is now supported. Extracts the master password for 1Password for Mac (standalone version) from memory images. GPU-accelerated password recovery is now up to 25% faster for RAR, ZIP, Microsoft Office, and Apple Keychain files. Password recovery for PDFs (encryption revision 3) using GPU-accelerated brute-force attacks is now supported.